Extrovert and introvert aren’t synonyms for gregarious and shy. Instead, they indicate whether we tend be energized through interacting with other people or through solitude. Extroversion and introversion aren’t either/or. Very few people are all extroverted or all introverted; most lie somewhere along a continuum. Unless we understand this, we risk sterotyping people when they self-identify as extroverts or introverts. Extroverts and introverts aren’t at war with each other. I want to emphasize the last point. When introverts increase their participation and become more comfortable in leadership roles, it doesn’t mean the extroverts will get pushed out of the way. Instead, it means that everyone on the team benefits from having more participants and better leaders. When introverts learn how to thrive on a team full of extroverts, it makes the team stronger. If the extroverts have been frustrated by working with the introverts (like Jesse was), their frustration actually dissipates. The world of business is big enough for both extroverts and introverts, for people on every point along the continuum. We shouldn’t try to compete with each other. 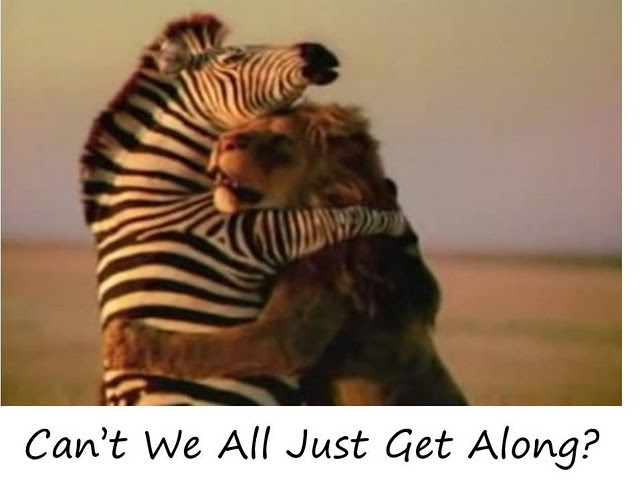 Instead we should reach across the divide: seeking to understand each other and appreciating each other’s strengths. In the end everyone works more effectively. What do you think? Have you tried to reach across the extrovert/introvert divide? If so, what happened?